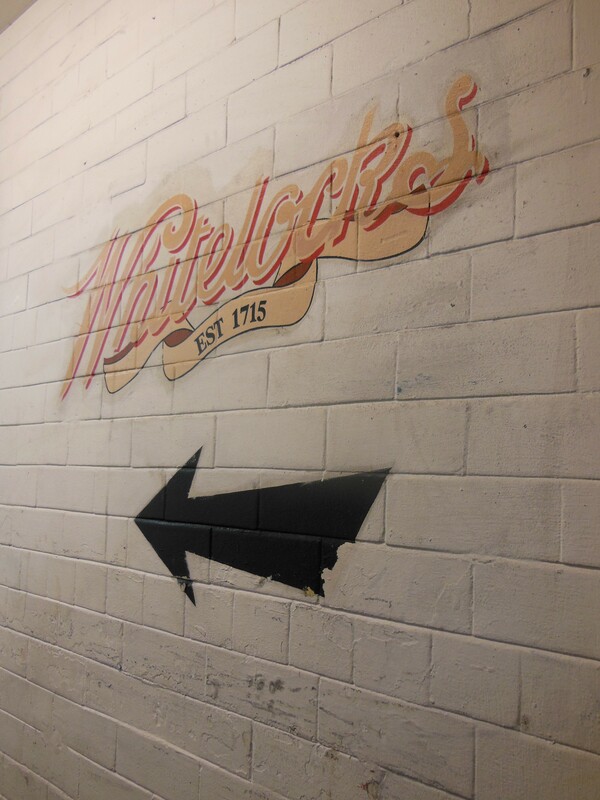 Chris Nickson tells us about Whitelock’s, a true Leeds institution. It’s not the oldest pub in Leeds (that distinction belongs to the Pack Horse, which, as the Nag’s Head, has been serving folk since 1615) but it’s possibly the best known, a proper institution. That’s no small feat given that Whitelock’s is tucked away off Briggate down Turk’s Head Yard, neatly out of sight. Unless you know where it is, the only way to find it is by walking up Briggate and looking for the sign directing you down a tiny passage to your left. And this year is its 300th anniversary. Originally called the Turk’s Head, giving its name to the yard, it opened in 1715, one of many inns on or just off Briggate. It survived, as so many others did, because much of Leeds’ working-class population lived in the courts and yards of the city. 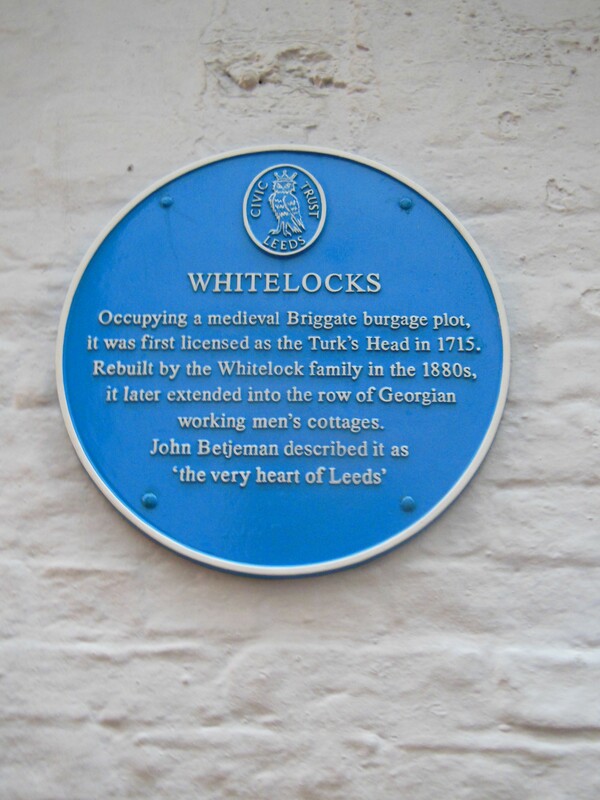 When John Lupton Whitelock took over the licence of the inn in 1867 there was no reason to think much would change. But in the 1880s the Whitelock family purchased the Turk’s Head outright and refitted it in the brass and wood of Victorian splendour that’s still the hallmark of the place today. 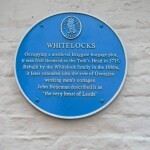 John Whitelock (followed by son William who took over the place) had plans to leave his career as a flautist with the Halle and Leeds Symphony orchestras and make Whitelock’s famous. By the start of the 1890s he’d transformed it from another inn into a destination. He installed electricity to the pub, and placed a revolving searchlight by the Briggate entrance to draw crowds. 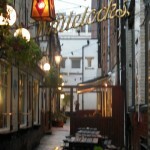 Re-named Whitelock’s First City Luncheon Bar, it attracted not only businessmen, but also actors performing in town, and in time it became the home of the very Bohemian Savage Club. 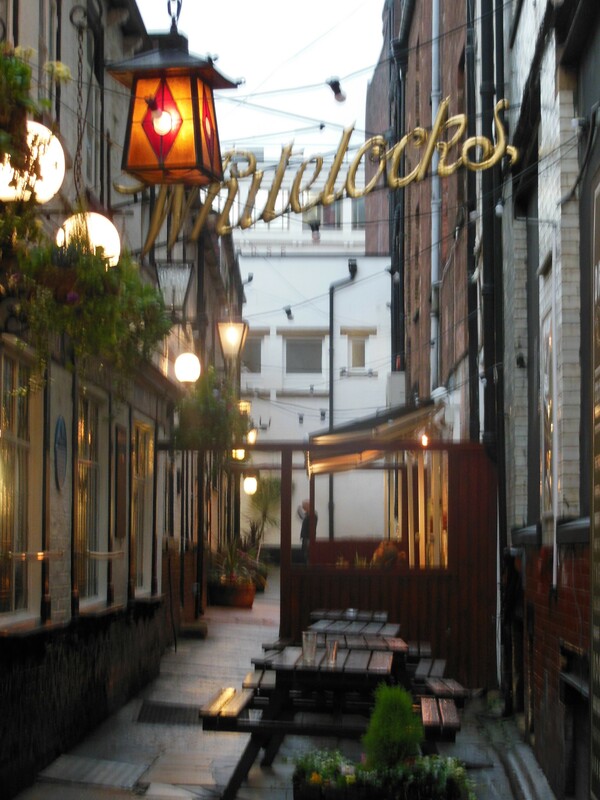 Indeed, it became the place for Bohemians of all kinds to meet between the wars, by which time brothers Percy and Lupton Whitelock were running the pub. He wasn’t far wrong, although that perhaps doesn’t do justice to the other old inns off Briggate (Pack Horse, Ship, Angel) that also have their own characters and venerable histories. But Whitelock’s certainly prospered. Leeds names like Keith Waterhouse, Peter O’Toole, and Phil May drank there. In 1963 the building received a Grade II listing and it’s gone on to become one of Leeds’ great tourist attraction, thanks in part to John Whitelock’s decision for it to be ornate and modern back in the 1880s. 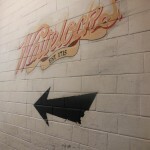 However, the Whitelock family no longer owns the place; they sold it to Scottish and Newcastle Breweries back in 1944. After a couple of upheavals, though, it came back into Leeds hands in 2012. In 2008, it was awarded the 100th blue plaque by Leeds Civic Trust. 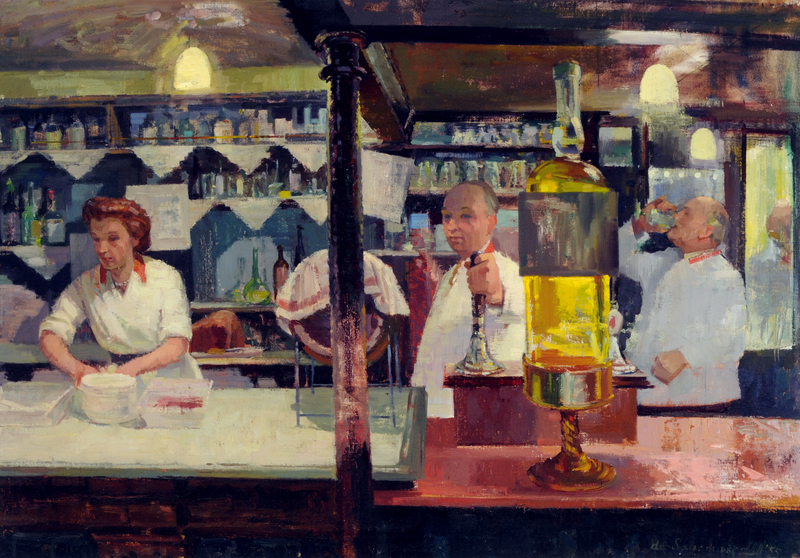 The celebrated artist Maurice de Sausmarez immortalised it in 1954-5 with his painting, Whitelocks. There is a current exhibition of his work, celebrating the centenary of his birth, at the Stanley and Audrey Burton Gallery, where Whitelocks is on display. Whitelock’s very likely achieved far more than John Lupton Whitelock ever dreamed. 300 years? Who’d a thunk it? Chris Nickson’s new book, Skin Like Silver, was published in November. 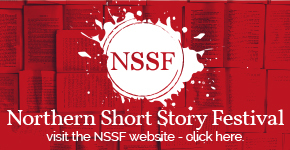 It’s the third in his Tom Harper series, set in Leeds in the 1890s, and is set against the backdrop of the early Suffragist movement. 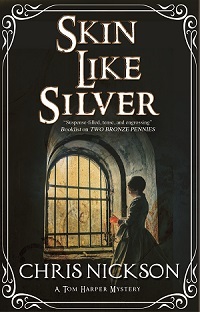 You can watch a trailer for Skin Like Silver here.